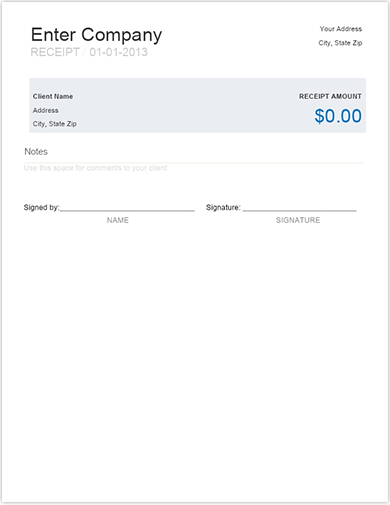 The receipt template allows for quick and easy receipt issuing upon payment. Just add your company information, customer name, amount paid and all additional details required and then print the receipt. Perfect for any freelancer, small or medium business.